Freshwater fishermen are renowned for keeping their favourite fishing hole/spot a closely guarded secret, often becoming extremely annoyed if anyone else happens to come along along by chance. This, for obvious reasons, rarely happens at sea with all the modern technology, GPS etc., but following on from my “Burma Banks” article last month, I was just advised of an exceptional find “marked” by Thai 2 On, which for the third year running has come up a winner with one or two large billfish caught on every occasion. Skipper “Ian” has nicknamed this hot-spot “The Big Drop Off” as it goes off the scale on his depth sounder at 350 metres, which means you can’t hang about overnight unless you have a sea anchor or a skyhook. Found by accident due to a foul-up at the Myanmar Immigration, which changed the boat’s customary course when heading to the Banks, this “Holy Grail” of fishing is now it’s “A Must” for Thai 2 On en route to and from the Banks. 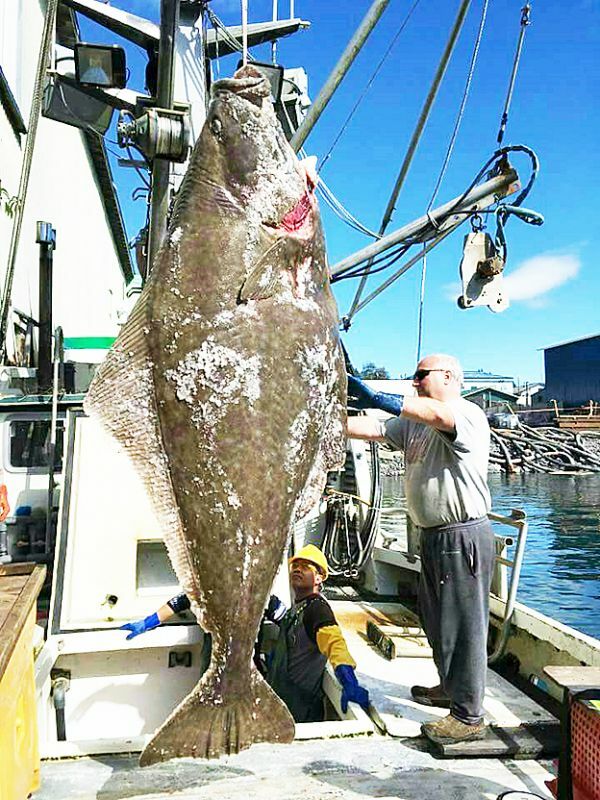 Congratulations to Daniel Johannson who has just caught the biggest Halibut ever, “tagged and released”, a monster at 462lbs, not bad with the world record standing at 515lbs. Wait till you catch it next time Danny Boy. For those “warm-water” fishermen who don’t know what a Halibut looks like, here’s one we prepared earlier. Picture courtesy of Bo “Big” Neff our long-time resident “cold-water” pro. 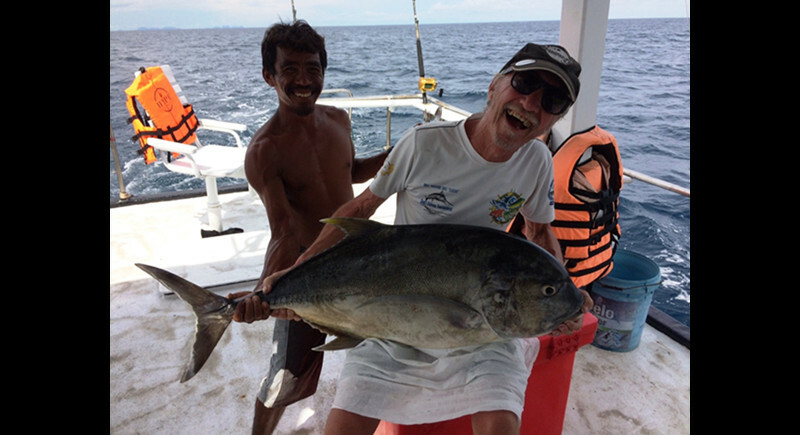 Not to be outdone, I went out mid-month with a couple of my pals on Mena 2 and pulled in a huge, by local standards, GT (Giant Trevally) estimated at 30/35 kilograms, a personal best, which will feed me and most of my neighbours for the next week or so. Caught on a steel line and my mate’s Rapala, I had a 40-minute fight on a 50lb leader. Photo included for all those septics who demand photographic evidence, another one for the anals. Finally, if you are wondering about why I included a catch report from the other side of the world – “I only did it, for the HALIBUT” Ouch! As usual, keep yer rods bent yer lines tight and send in any decent catch reports, as I can’t guarantee my luck every month.